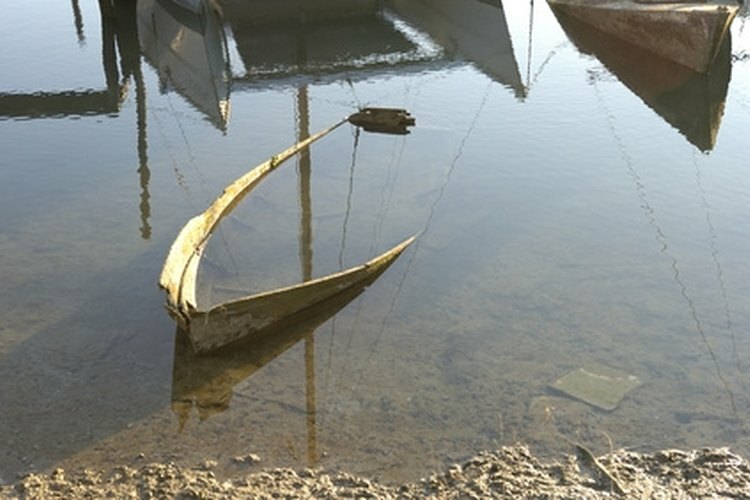 Some boats are worth significantly less due to their condition. Selling a boat you no longer use, or have already upgraded, can put money in your pocket and give your old boat a new life for someone else to enjoy. It can be difficult to determine how you should price a used boat, but there are several things you can do to help determine a price. Factors that affect a used boat's price include the current season, the boat's original value and current condition. Research your boat's current value. The National Automobile Dealers Assocation provides boat value guides that will show your boat's approximate current resale value (see resources). Evaluate your boat's condition. Boats in top running condition are worth more than identical boats in poor shape or need repairs. Even minor repairs can reduce the boat's value. Note all problems and flaws and subtract them from the boat's approximate value. Upgrades made over the years can increase the value. Research what comparable boats are currently selling for in your area. Areas near the water tend to have higher boat prices because they are in higher demand. Boats also are in higher demand during spring and summer. Your boat, due to supply and demand, may sell in the winter for several hundred dollars less in a landlocked area than it would if there's a lake nearby during the summer. Price your boat competitively. Price your boat somewhere between how much similar boats are selling in the area. Price it above boats in worse condition, but slightly less than ones in better condition or are overpriced. Boat Trader: How to Sell Your Boat Quickly in this Uncertain Market?